Heavenly Father’s plan is all about family. The family unit is central to the organization of eternity. We’ve been taught this principle from the beginning of time. For many years, we’ve been encouraged to hold family home evening in our homes and teach our children the gospel through prayer, scripture study, music, and wholesome family activities. It is no surprise—or at least it shouldn’t be—that President Russell M. Nelson and the Brethren have found a way to help us strengthen our families in these times of confusion and commotion in the world. In January 2019, our 3-hour block of church will become a 2-hour block. We have been admonished to make our homes a place of study and Sunday worship. 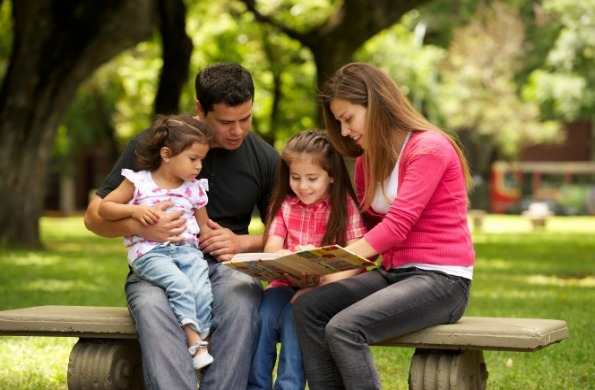 Isn’t it appropriate that the family should be the main source of gospel learning? 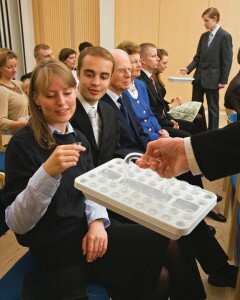 Our meetings on Sunday should be focused on 1) the sacrament, and 2) supplementing and reinforcing the gospel study we are doing in our homes. Like every principle the Lord teaches us, we have agency. We can choose to make this change simply about getting out of church an hour early or we can choose to make a significant difference in the spirituality of our families. In a time when our families need it the most, we still have agency to totally disregard the warnings of the times and discard the opportunity to strengthen our families against the evil all around them. … We are each responsible for our individual spiritual growth. And scriptures make it clear that parents have the primary responsibility to teach the doctrine to their children. It is the responsibility of the Church to assist each member in the divinely defined goal of increasing his or her gospel knowledge (President Russell M. Nelson, “Opening Remarks, Oct. 2018 General Conference). Strengthening our families is what this change is all about. Is there any doubt that we need to take every opportunity to gather our children together and teach them in these times? I’ve been thinking a lot about choice and accountability. Agency is such a two-edged sword. We often confuse agency with freedom. I have studied and pondered the two words. I’ve found these partial definitions from Merriam-Webster Online Dictionary very helpful. Do you see the difference? Freedom is the absence of tyranny. Agency is the power to achieve something. 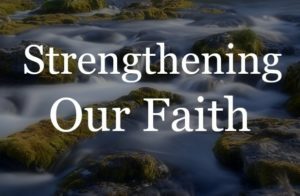 We’ve been given an opportunity to achieve something grand, strengthen our families, prepare for the second coming of Jesus Christ, and eternally bond with those we love. We have the power or agency to make certain our family bond extends through eternity. Yes, we have freedom to choose, but more importantly, we have agency to make it happen. Heavenly Father has reached down from His eternal courts on high to extend His power to us—if we will only reach out and grab the brass ring. If you are a regular reader of my articles, you know that keeping the Sabbath day holy has been an ongoing struggle for me. This is something I work on constantly—with varying degrees of success. It has gotten better, but there is still a lot of room for improvement. It has become quite clear over the last few years, however, that keeping the Sabbath day holy is the key to strengthening families. If I wasn’t convinced before, the October 2018 General Conference has left me no doubt. Heavenly Father’s plan is for our families to be together forever. It is all about the family. We have agency/power to make that happen. It is a matter of choice and accountability. Family Unity Hearing the Prophet Finding Joy in General Conference How Do We Receive Personal Revelation?